WOW!!! BEAUTIFUL 2006 LEXUS RX 400h!!! SILVER WITH BEIGE LEATHER INTERIOR!!! LOADED WITH SUNROOF, POWER LIFTGATE, NAVIGATION, REARVIEW CAMERA, HEATED SEATS, REAR AIR, AND HEAD REST DVD PLAYERS!!! CLEAN CARFAX WITH ONLY 116,076 MILES!!! 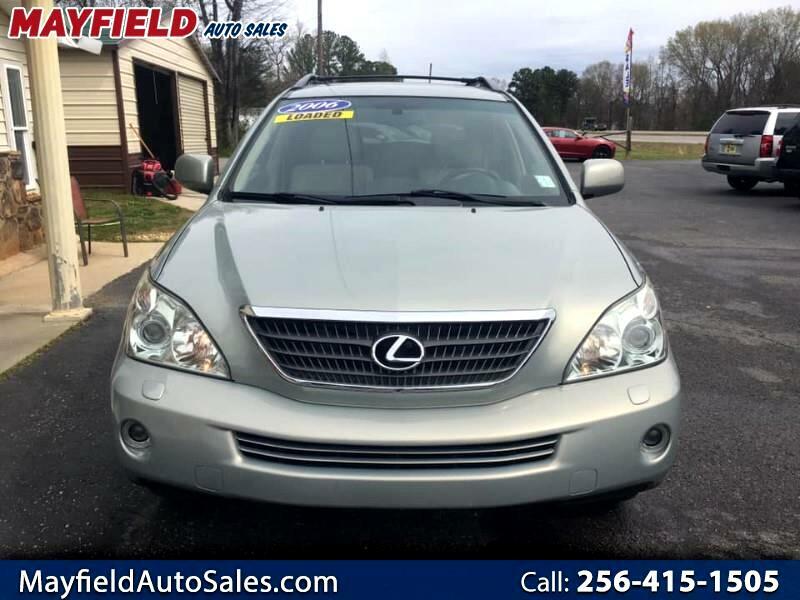 Visit Mayfield Auto Sales online at mayfieldautosalesalabama.com to see more pictures of this vehicle or call us at 256-398-7171 today to schedule your test drive. Message: Thought you might be interested in this 2006 Lexus RX 400h.